Didn’t find the match nearly as exciting as the Times seems to have. Both players seemed angry and irritable at having to start so late — the result of a four hour plus match where an impressive, and previously unknown to me, Kei Nishikori beat Stanislas Wawrinka — and by half way it had just become a game of physical and nervous attrition. Happy result though. 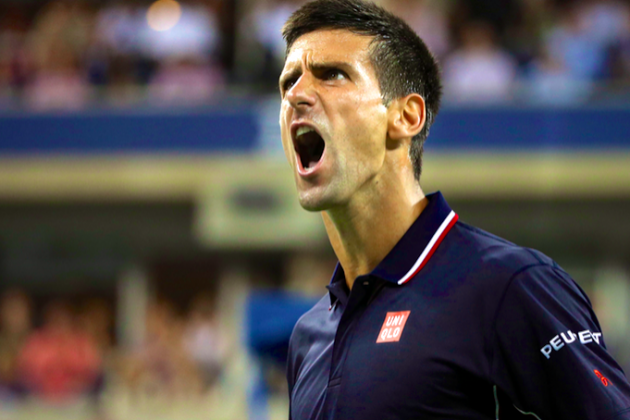 My call is Djoković and Federer again in final — see if Nole can reproduce Wimbledon win. “He’s got a serve that’s efficient, if not blinding. He’s got incredible agility and tremendous speed. He runs down shots that seem irretrievable, shots that have the fans gasping—and then roaring.